You probably know it, it is more and more expensive to buy Cisco equipment. Of course, we all know these products are appealing and they are cutting-edge solutions. However, you may have sometimes a thin budget to spend in your computer network so why wouldn’t you buy used network equipment? It has a few benefits like the fact that you often get a much better warranty than buying new devices. In addition, a router or switch in refurbished is always checked and tested by the vendor. At least, this is what A.N.S. does. So, you get a more reliable product because we test every refurbished Cisco equipment ! In other words, we guarantee you the highest quality standards thanks to our computer network technicians. Cisco refurbished switches are part of one of the largest markets worldwide for refurbished IT hardware. It not only allows customers to buy their network hardware, but also to sell it and, in this way, recover part of their investment. 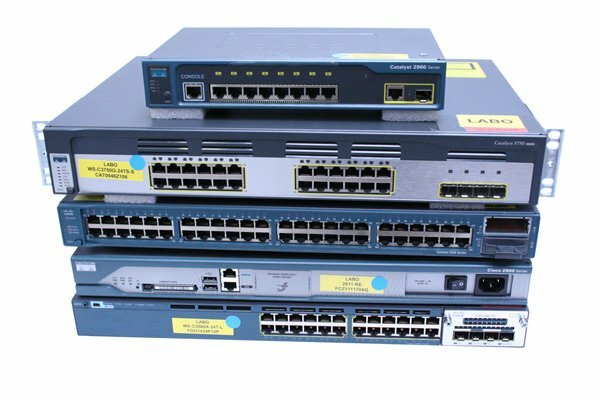 Obviously, it is not only about a used switch like a Cisco catalyst 2960 or a 3560 but you can also find a used router, firewall, server, controller, telephony, memory, SAN, everything is available! The hardware can still be covered by the manufacturer maintenance contract (if less than 1 year after EOS) or by A.N.S. Besides, you surely know about the SMARTnet program. This interesting service is a great thing but it costs a lot of money. A.N.S. offers you a similar program with next-business-day delivery which is cheaper than SMARTnet.